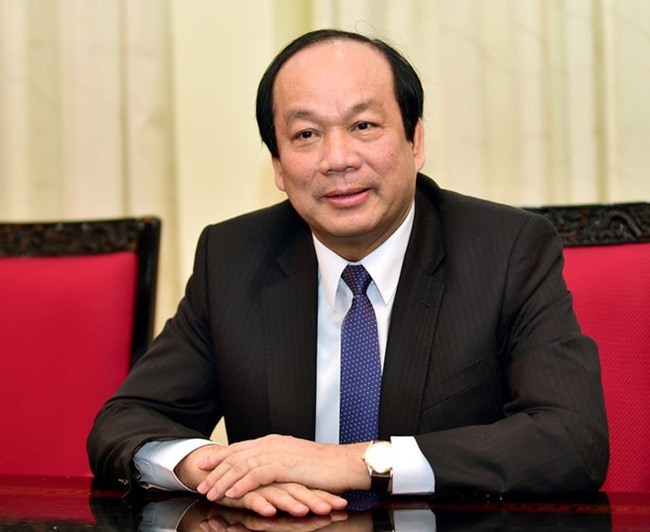 Mai Tiến Dũng, Minister and Chairman of the Government Office, speaks to Vietnam News Agency on the Government’s plan to introduce electronic management systems nationwide. What are the advantages of the National e-Document Exchange Platform? There are a lot of advantages to the platform. It is a move towards a modern, new-look Government. All 31 Ministries and Ministerial-level agencies, 63 provinces and centrally run cities and the Party Central Committee Office have adopted the platform, with e-documents being sent and received quickly and safely. It is projected that the platform will save VNĐ 154.3 billion (US$ 6.66 million) in photo copies, scans, ink and other expenses, plus VNĐ 575.2 billion ($24.84 million) in delivery costs. All in all, we will be able to save some VNĐ 1.2 trillion ($51.53 million) per year. Another noticeable advantage that we should mention is that the platform will save a lot of time and make everything more transparent. More importantly, it will help increase people’s confidence in the Government and improve the investment environment. The Government has set a goal that by June 30th, 2019 an e-Cabinet will be officially commissioned. A normal Cabinet meeting often takes three days, but when the platform starts to operate, it will take just one day. All the necessary documents will be handled online, meaning the Cabinet members can focus on discussing the issues and casting their votes. I hope that in the near future, finger prints will replace votes. In Estonia, their Government meetings last just 30 minutes. In some meetings, it takes less than five minutes as officials simply press a button to indicate yes or no. Prime Minister Nguyễn Xuân Phúc has ordered relevant agencies to create a comprehensive legal framework for the sending and receiving of e-documents on the platform and the sharing of data among state agencies. Between 2020 and 2025, the national databases on population, insurance, finance, business registration, national land, electronic household registration and specialised data will be all connected with the platform. Do you think the National e-Document Exchange Platform will help solve the problem of “data monopolies” in our country? Data monopolies are an issue in our country. In the fourth quarter of 2019 when the platform starts to operate, all national data will be connected to it. The Prime Minister will be its “general manager”. The PM will make the decisions about how the data will be shared. Transparency and accountability will prevail. How will the platform be protected? In the near future, we’ll come up with specific regulations and rules on the operation of the platform. Of course, we’ll ask foreign experts, including those from Japan, France, South Korea, Australia and the World Bank, to help us. For Việt Nam, the biggest challenge is how to synchronise the data systems of all public and private agencies, including enterprises and households.